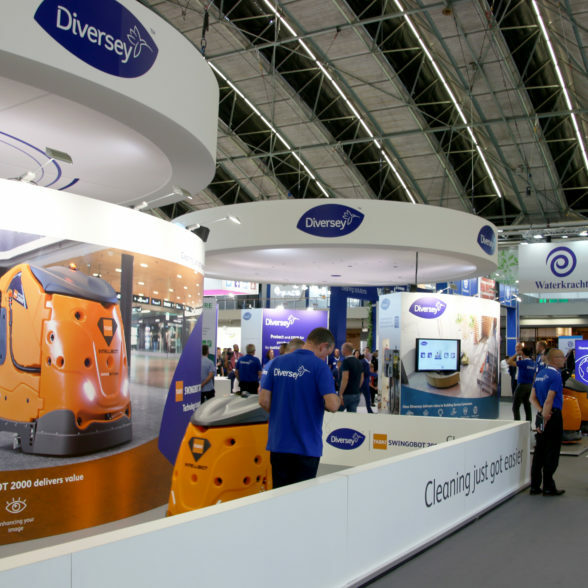 Diversey (1923, Chicago) is a leading company that offers worldwide innovative total solutions in the area of professional cleaning and hygiene. The offer includes total solutions for all professional applications, including training, logistics and administrative support. The systems are focused on building maintenance, professional kitchen hygiene, machine dishwashing, sanitary cleaning, textile care, personal hygiene and food safety. Customers are in all market segments such as cleaning, catering, healthcare, government, education, retail, petrol, hotel chains, breweries, drinks and dairy industry, food industry, agriculture, food service companies and many institutional and industrial customers. •	By deploying and using sustainable solutions, customers’ businesses are more profitable and sustainable, more efficiently and at the same time contributing to the well-being of society. 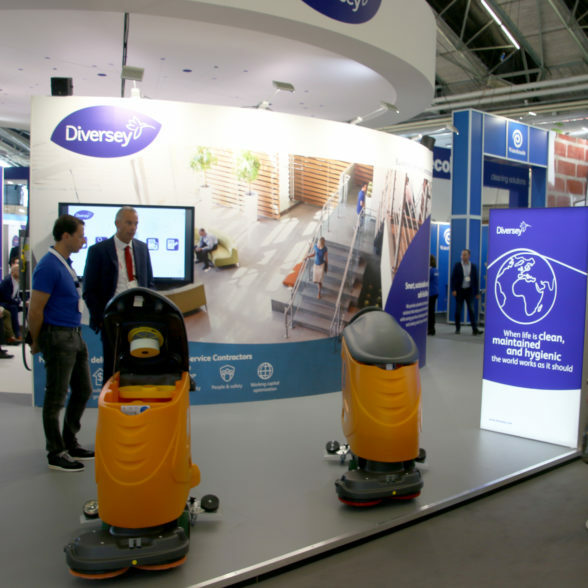 Regarding Interclean 2018 The Diversey objective was “to create the ultimate engagement with the visitors by amazing them with an outstanding presence that meets their individual needs”. An exciting moment for all of us at Plant the Brand. 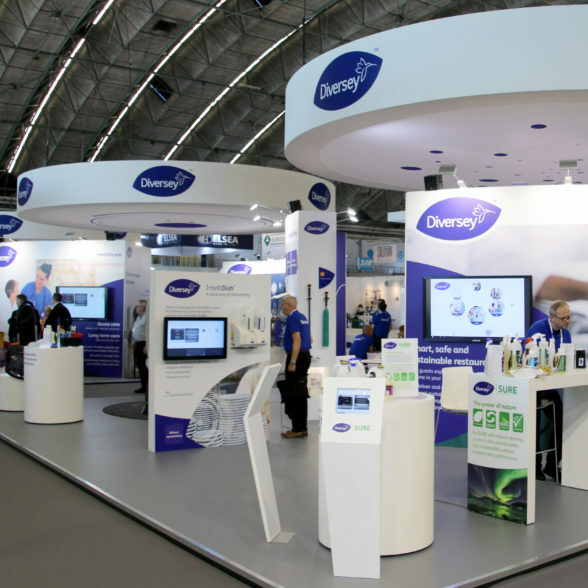 The Diversey briefing contained a variety of ingredients, such as questions of positioning, design, content, customer expectations, routing as well as commercial and management related subjects such as lead generation, sales and ROI. A great opportunity to call on and show our creative expertise and capabilities, our commercial skillset as well as our long-term experience in business to business environments. By careful studying available Diversey stationary over time as well as bearing the impressive rotating eye-catching cleaning machines in mind the creative conceptional thought was fed organically by principles of tactile curved shaped architecture. Next creative challenge has been to include components such as Distinctive, State of the Art and Human Size. Then there was of course the challenge to take care of the content, messaging and layout, including commercial wishes such as lead generation, the customer experience, the realization of a strong, recognizable brand and the absorption of essences such as sustainability and innovation. 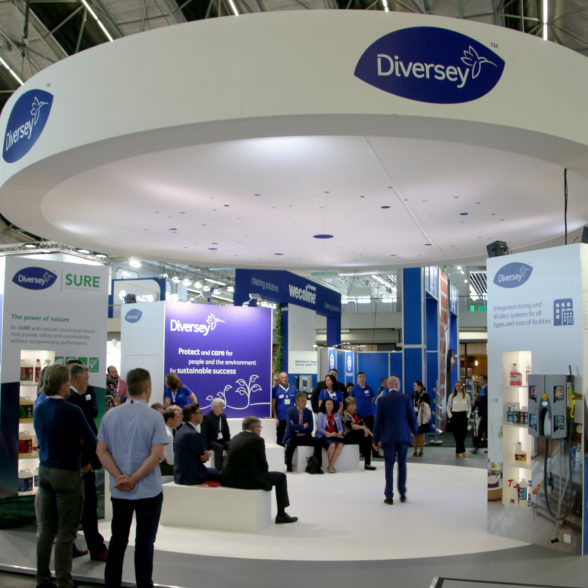 All Diversey and Plant the Brand people involved and contributing in the project team have been enthusiastic as well as inquisitively wondering about the Diversey company’s physical presence during Interclean 2018. 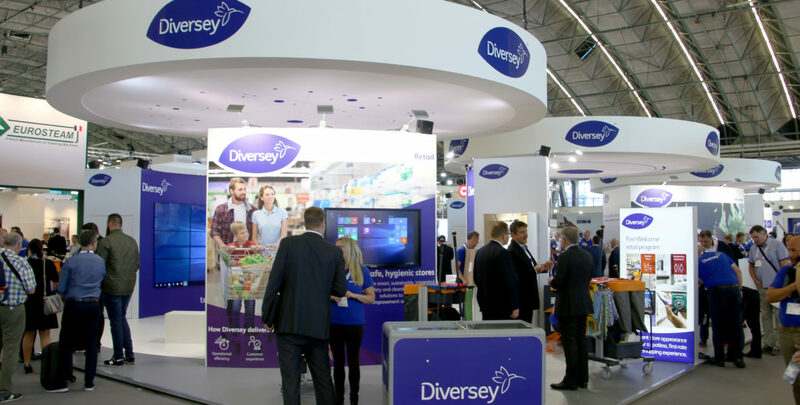 Diversey: a brand experience project with a lot of drive and commitment that has been amply rewarded!